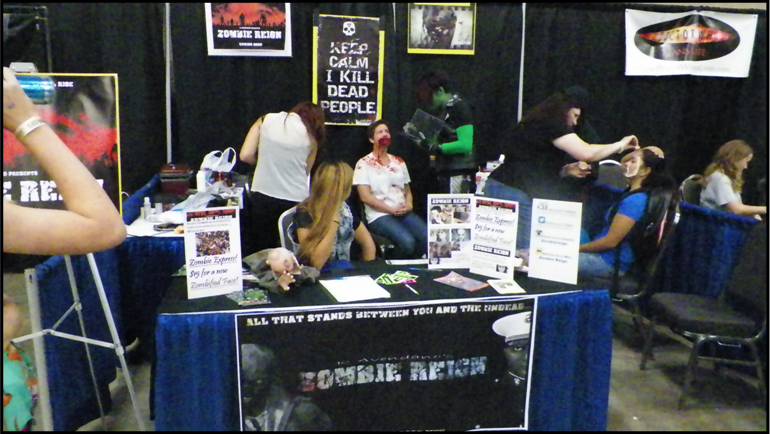 Von Ormy Star: DIRECTOR RAMIRO AVENDANO IS BRINGING ZOMBIE REIGN TO SAN ANTONIO! 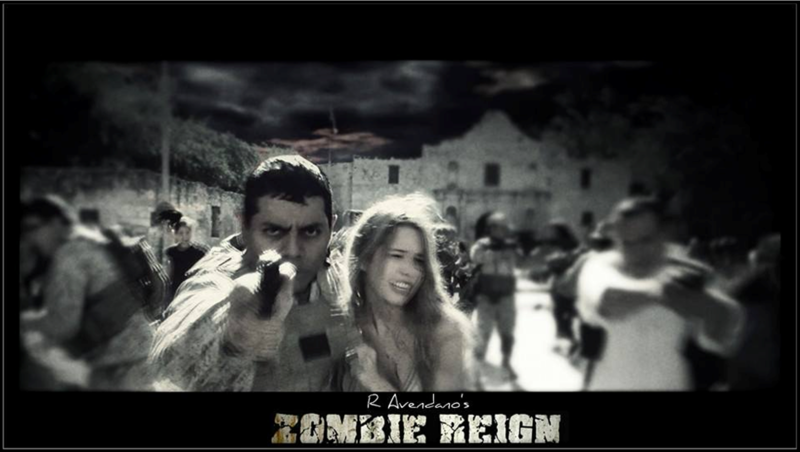 DIRECTOR RAMIRO AVENDANO IS BRINGING ZOMBIE REIGN TO SAN ANTONIO! 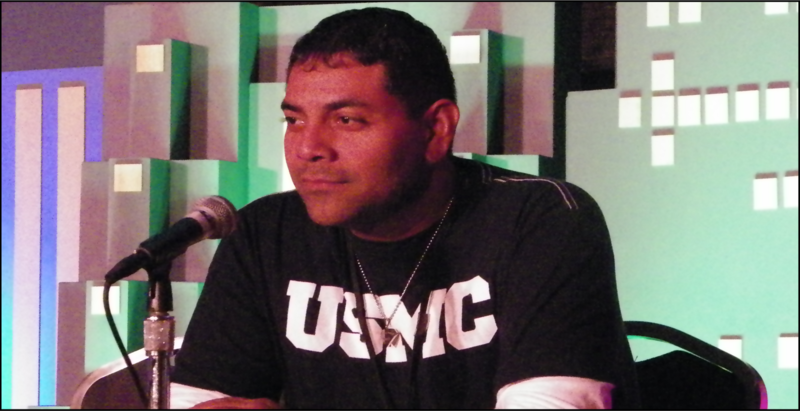 Ramiro Avendano is the driving force behind a new movie called Zombie Reign. Many years of preparation, from writing the script, promoting the project, securing funding, and casting actors has culminated in moving forward with filming set to begin this October. Ramiro will not only be directing the film, but also acting in a lead role. Expectations are huge, with a few “A” list actors added to the cast, and another movie or possibly a television series planned following this one. Several cast member are from the South San Antonio area, with some promotional video shot at south side locations. As of this interview, a display booth is set up for the Alamo City Comic Con at the San Antonio Convention Center with items promoting the movie. Yesterday, Ramiro organized a panel to be interviewed in one of the press rooms. As busy as he is, Mr. Avendano agreed to an interview with this newspaper. 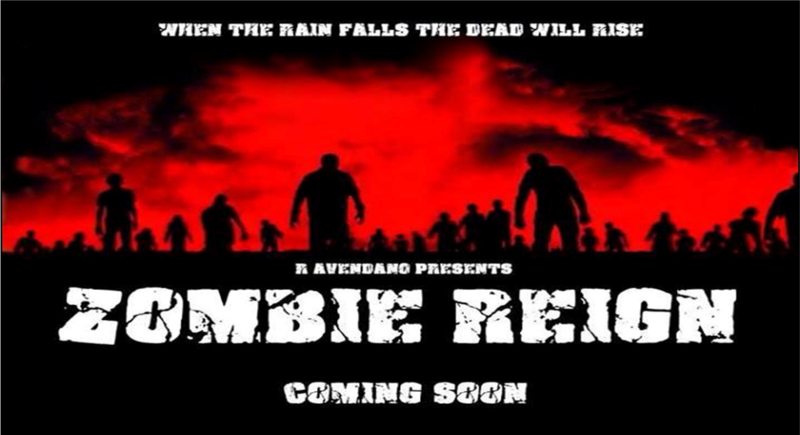 Could you tell us a little about Zombie Reign, what is it about this movie that has generated so much interest? Yes definitely, I've been working on this for several years with my team to make this dream come true. We've partnered up with DK Productions out of Las Vegas, they are funding us to make this big budget production happen. This project is the biggest production I've worked on personally. I have done several smaller projects, some commercials, but for them to trust me with their money on this is amazing. I grew up watching zombie movies that scared me, but as I got older they got sort of campy and lost their fear factor. I want to bring that back. I want to take people on that ride where they feel that thrill, that danger. I'm really excited to share this with everyone here in San Antonio. You are involved in so many areas of this movie, what do you consider your primary role? That's a good question, I consider directing my primary role. I want to show my vision for this, which is much more than a zombie movie, it's a story about people dealing with a serious epidemic, so yes, directing is my primary role. What has been the most rewarding part of working on this project? That would be seeing the smiling faces of everyone involved in this movie. This is not only about making my dream come true, it's about everyone's dream and I'm very happy about that. There is talk of additional projects developing from this movie, such as action figures, a novel or comic book and other movies or series. Could you fill us in on these rumors? Yes, when I was in Las Vegas I saw prototypes of the action figures, who wouldn't be excited about that? That's just another dream come true. I'm talking with a publisher about a graphic novel, there are a lot of things that are possible and can happen because of Zombie Reign. What has been the most surprising part of this project? There are many because I've been working on this for so many years. One was the city allowing us to film in front of the Alamo. That was a blessing. I'm forever grateful to everyone that was involved in that, and was very impressed. What are the names of the “A” list actors appearing in this movie? I could tell you, but then I would have to kill you. Seriously, I can't tell you yet, but we are bringing in several “A” list actors. However, those bringing the story to life will include all my actors. How difficult was it to convince “Hollywood” to cast local talent and shoot the movie in San Antonio? “Hollywood” wanted the movie shot in L.A., it took some time to convince the “powers that be” that San Antonio was the place to make the movie happen. San Antonio is a beautiful city, it's rich with culture and I love this city, this is my home. It was a big task, but when they saw what we did with the promo, they now believe in my vision. The “A” lister's coming on board willing to shoot in San Antonio also helped. So most of the movie will be filmed in San Antonio, but will you shoot anywhere else, or outside of Texas? The main characters will be based in Texas, using San Antonio and a small town just outside of San Antonio. However, this will now be filmed in places around the world. This is a new development that I am just sharing. DK Productions has a studio in Europe, so we are now global. We will be shooting in places all around the world. This will be where the “A list actors go, but again, the main characters will be based and filmed out of San Antonio. Could you tell us about a couple of your crew, or team that is helping with this endeavor? Kenneth Cirby and Patrick Woodruff have been with this project since they were 16 years old. Because of the time it took to get this off the ground, these child actors have grown into men. They have a wealth of experience from working on other projects besides this, so that now they can also help out behind the camera which is a blessing. I'm very proud of them. I'm also proud of the rest of the team that has come on board recently as well. This includes DK Productions, who is bringing in everybody else. They are bringing crews that have worked on other movies, stunt coordinators, everyone to make this production happen. We started as an independent film and have grown to a big budget release, so the transformation has been amazing. I heard San Antonio is your new home, how did you end up here? I was born in San Antonio and my family moved to Las Vegas when I was 1 year old. I grew up in Vegas, but I also love San Antonio, so I plan on staying here. What could you tell us about Zombie Reign or Ramiro Avendano that might surprise people? I actually wrote a short story back in high school about Lazarium, a drug that is a key part of the movie. A teacher told me the story was beautiful, and I should pursue or write a book about it. I was a teenager, so the story was left on the shelf for years, but then decided to really pursue it and here I am. 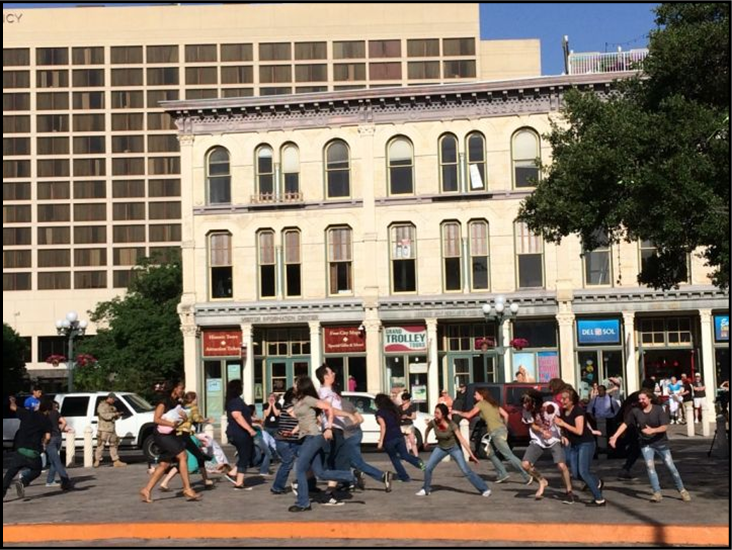 The movie has teamed up with the San Antonio Zombie Walk to film a segment that will have staff from the Guinness World Book of Records on hand to record the largest number of extra's ever in a movie since Ben Hur. If anyone wants to be included in this movie, show up at the San Antonio Zombie Walk on October 26th. You can like the face book page to keep up to date with current happenings by going to: https://www.facebook.com/OfficialZombieReign. There are serious questions regarding this producing and it's director. Ramiro has no experience as an actor. Why would a major investor allow him to be a lead in a multi- million dollar production? Did you bother to look at the amateurish promo? He shot in front of the Alamo using iPhones and iPads as his cameras. This film is a fake and the director is a lying con-man. This film has been exposed as 100% fake.There is not and never has been any movie or even a script. Ramiro is currently on his way back to Las Vegas to avoid lawsuits and possible Criminal charges in Bexar county. Lawsuits and criminal charges by who? To me, it looks like YOUR the one posting FAKE comments and slanderous lies on the web. But you made money selling your online book over the matter, didn't you? https://vimeo.com/167542686 Check out this sneak peek from Zombie Reign! I'm seeing stuff on the internet about this. Who is telling the truth? Was there a script, and has it been completed?